Are you currently managing your own Google AdWords Campaigns in-house? Are you optimising your campaigns successfully in order to ensure a maximum Return on Investment? Is AdWords proving to be an expensive, time consuming and confusing distraction for you and your staff? Will use an integrated Approach to Digital Marketing & how Google AdWords is best used strategically in order to achieve your business objectives. Will use tried and tested processes around campaign set up, which is the basis or downfall of your AdWords success. Can advise you in relation to your Advertising budget, based on your business objectives. Has effective AdWords management processes in place & carries out regular management to maximise your advertising spend. Will focus on taking actions which will drive the best outcomes for the areas that are a priority in order to achieve your business objectives. Get in touch with WebResults.ie today to avail of our special offer. Sign up for 6 months AdWords management and get one months management free. 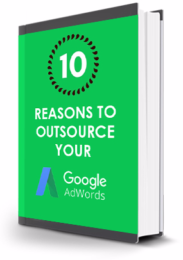 Have you thought about outsourcing your AdWords, but just haven’t taken the next step? Get in touch for a free review and find out if it’s the right decision for you.